Hi Ya’ll! 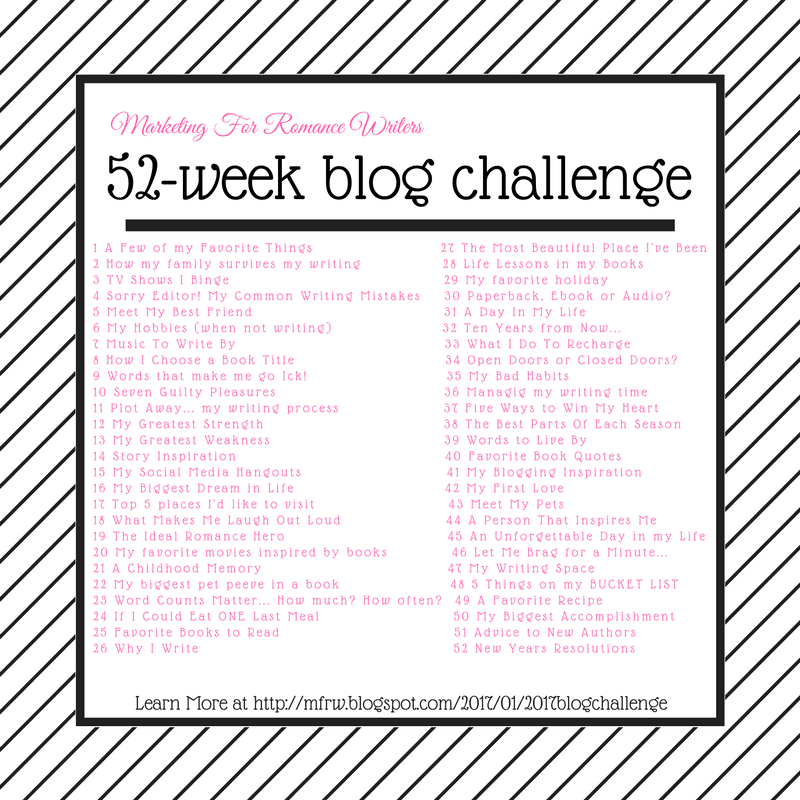 It’s week 17 of the MFRW 52 week blog challenge. This week our topic is the top five places we would like to visit. Picking five is hard for me because there are so many places I would like to go visit and things to do. I have only been to Mississippi, Wyoming ( I lived in these two for short times many years ago) Arkansas and Tennessee since they are on the border of us and the only places to get to Walmart and Lowes LOL. Also, Hubby’s family lives in Arkansas. We also went to Iowa to have Hubby’s dad’s wake a couple years ago. I forgot about Pennsylvania my dad is from there and we visited a couple times as a kid. I still want to go back. I have lots of internet friends there I would like to meet. When I met the hubby he took me on a vacation to Chicago. That was on top of my list and I had a blast. We also visited St. Louis every anniversary and Branson on our Honeymoon. These were all nice. So in retrospect, I guess I have been to a few more places than I thought. But that leaves a great big world out there that beckons. I think my first choice would be England. I would like to see the country, the sea, and the castles there. Castles bring me to Ireland I also would love to go there. and Australia. I love the Accents and Id love to see the land and animals there and maybe meet a couple of my friends I have there as well. Now let’s go clear across the country ( stopping in every state in between especially Utah to visit my beta reader and the aquarium and zoo she tells me so much about~~yes I cheated and got in more than five LOL)to California. I chose California because my husband use to drive a truck there and he says I need to see it. I will love the diversity and all the fresh fruits and veggies. I want to see the wine country and the San Francisco bridge even though I may not cross it ( I have a fear of big bridges and water. )I also want to see the coast and Ocean. I have never been. Funny I want to see all this water and have such a fear right? For a recap. My top five places I want to visit are~ England~Ireland~Australia~New York and California. What are our top five places you want to visit? Now let’s go see what the other MFRW chose as their top five! Click here to visit the others..
After working there for several years, my tip for surviving New York City? A city map so you know which way to turn and a subway map (never had good luck with busses). Don’t attempt to drive, leave your car atthe Port Authority, Pennsylvania, or across the river in Jersey, but not on a city street. I always took the train in, Wear walking shoes and have fun! Thank you. My problem is being disabled walking is rough tough I could go slow and enjoy LOL. I traveled to New York for the first time last summer. Didn’t get to see much but will definitely do it again. I would love to visit Ireland. I share your fear of bridges and water. I’ve been to California, but not San Francisco. I too would have to admire that bridge from afar. I hope you get to visit some of your dream places. Like you, I find the size of busy-ness of a huge city like New York intimidating. It’s interesting — three MFRWers want to visit Iceland, of all places, but nobody’s interested in my adopted home state, Arizona. What about the Grand Canyon, folks? I’d love to see the Grand Canyon. Thak You Robin.Maybe some day I will get to at least travel a little in the US.